This debate will undoubtedly rage on forever; Mega Man 2 vs. Mega Man 3… which is the better game? Video games are what you make of them, or, at least made special because of what you take away from them. So technically, there is no wrong answer. You could even say, “I hate both games, and think Star Wars: Super Bombad Racing is the greatest game of all time!” I’d be awfully intrigued if you ever said that, but there must be some reason for you to be saying it, as crazy and it may sound to me. Right? Mega Man 2 was the first Mega Man game I played. It’s the one that started the obsession, and got me hooked to the series for years and years to come. And really, that has to count for something! We all know about the rock-paper-scissors gameplay, so let’s start with the music. The developers probably could have made a much more inferior game, slapped these chiptunes on top of it, and it might still make my Top 100 countdown. They’re just that good. It sets the mood even better than the widely known Super Mario Bros. over-and-underworld themes. Without even looking at a screenshot and simply listening to the music, you could probably guess that Flash Man’s level is filled with slippery ice traps. The hectic Heat Man theme compliments your sweaty palms nicely as you jump from one disappearing block to another, while Quick Man’s music has those little “buzzing beeps” (not sure what else to call them) that give you that sense of urgency when rushing to avoid those massive death lasers. Bubble Man’s level was the first one I ever chose when playing the game, and that music just fit so perfectly as a “water theme”… one of my favourite game tunes of all time, for sure. On top of that, you’ve got an amazing game that has been perfected from the last time around. 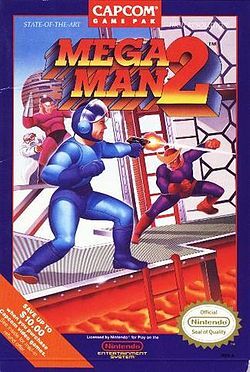 The first Mega Man was great, but the slight tweaks to the formula for MM2 just hit it out of the park. Energy Tanks, three distinct weapon add-ons, eight bosses instead of six, more freedom in choosing the boss order, and an actual map for Dr. Wily’s Castle… they were only minor changes that ended up making the world of a difference. The jump in quality between the first and second games is quite astounding. I know people on both sides of the Mega Man 2\Mega Man 3 argument, and really, there’s no reason for heated debates. To each their own, I say! I’ve already elaborated on some of the memories I have associated with this game in this post, so the only other ones I have left are not that interesting. Not that all the other stories I share are mesmerizing, or anything, but you know… I guess they can’t all be winners. Anyway, I remember renting this one time and staying at my sister’s apartment overnight. It was the mid-90’s, and there were a bunch of Mega Man games that had come out since then, but I wanted to play MM2. The next morning after waking up, I played for a while, and got up to the fourth Wily stage… the one with the repetitive music, everything is purple, there are fake floors everywhere, and has that unforgiving and awful boss at the end of it. I remember turning the console off in anger, because I just couldn’t beat it that day. 1. 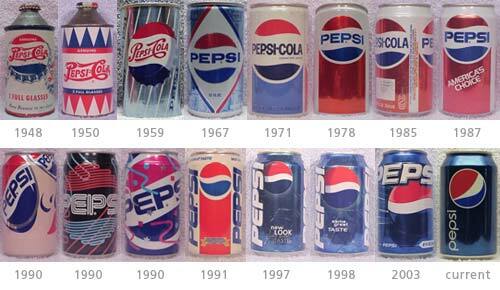 Pepsi had come out with a sleeker logo and different-looking cans a couple years prior. I remember staring at a can, observing the differences from the old one, and wondering what in the world they needed to do that for. Coke hadn’t changed their look all that much, and now the Pepsi writing was on the can vertically… it made no sense, and it truly had me perplexed that night. 2. Before the meal (lasagna! ), we were watching TV when Entertainment Tonight came on. John Tesh and Mary Hart started the show with the news that John Candy had passed away after suffering a heart-attack. Everyone I know liked John Candy; he was hilarious, and always played the super nice guy you couldn’t help but feel bad for. It was really quite a bummer when we learned he had died! That’s it! That’s all I’ve got for today.